Last week I decided to go through my old blog posts, which had quite a negative impact on my general confidence about my content and I had a little meltdown on the blog. After receiving lots of good advice from the blogging community I decided to ignore my initial knee-jerk intention to delete hundreds of posts that I considered to be inferior and instead spend a bit of time recycling some of my earliest articles. 1. My blog is nearly four years old, and I have a much bigger audience than when these posts were originally published. I wanted to reach my newer audience who would not have seen them. 2. My writing style has changed and my earlier offerings aren’t consistent with the quality (at least, in my opinion) that I produce now. 3. My lifestyle has changed for the better. The negative tone of some of the posts are no longer relevant to my general mindset. 4. Some of the information in the posts was completely outdated and I wanted to create things that would be evergreen ie. consistently relevant and popular. 5. My technical knowledge of blogging, social media and promotion is far better than it was, and I wanted to see if I could use this knowledge to make the most out my older posts. I realised that the perfect opportunity to start this would be on International Women’s Day. One of the very first posts that I wrote was 46 Reasons Why Women are Amazing, which did well when first published. However, in the maniacal rush that I created many of my posts at the time, the content was silly, vapid and conveyed completely the opposite message that I wished to portray, and when I re-read the post I physically cringed at some of the things that I had written. So, I decided to get other bloggers involved and ask them a question, including their responses in the post. I then created a pinnable image, tagged it effectively using keywords and then sent it out all across my social media. The result? I had an evergreen post that I was felt more comfortable with, I had introduced the post to my newer audience and my views were four times higher in a single day than when it was first posted. While it may sound obvious, rewrite an article almost from scratch, correcting your grammar and making it better. Update tags, categories and keywords. For those of you on WordPress, reblog your older posts. WordPress .com has an easy reblog button – remember that this is useful for sharing your own posts again as well as those of others. Update blogging advice posts with your new things that you learn in your blogging journey. Similarly, with tip posts, how-to guides, tutorials and listicles, add in or change newly learned information to make sure that it remains up-to-date and relevant. Ask other bloggers to contribute, or use an old post as a guest post on another site. Create a summary post – linking in a selection of your favourite older posts that your newer audience may not have seen. Remove time-specific dates and references. Advertise your favourite older posts in your sidebar. If you have written about a specific event or experience, create a response post to your original article (linking the old post in), with an update. Update your images to make them suitable for your social media accounts – Canva offers options of different sizes for easy creation of effective and consistent images that can attract new readers to your posts. Promote older posts regularly across social media. Pin, tweet, stumble, flip and share on your Facebook page. Put old posts in blog link-ups and in Facebook group promotion threads. Repurpose content in the form of a beautiful image, or vlog, or infographic. What about you guys? Do you recycle your old content? That’s such a good idea! I need to actually start doing recipe posts – I love cooking and I need to document it! Thank you. I do it to keep me not getting stuck in a rut and hopefully my kids will some day have a record of their favorite dishes and some of our adventures. That’s a great idea. My friend gave her daughter a recipe book with all the family recipes beautifully handwritten out for her. You’re doing the same, but the 21st Century version! I hope to give the my recipe box too just like my mother gave me with recipes from my grandmothers and her. 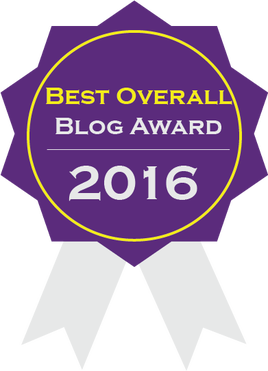 I often link to an older blog, but have not yet re-blogged myself, nor done an updated or reworked post. It is a good idea, especially with a new audience, or new insight. Might even help with those times I just don’t know what to write. I’ve reblogged myself a few times now – let me know how you get on with it! I periodically click on old posts which I enjoyed writing or find vines I’d forgotten… tweak them and reschedule them as a new post!! Yes! Thanks so much Ritu! To deal with older, outdated posts, I created a new, private blog to which only I have access. Then I reblogged my old posts to that new private blog in order to save them. Then I trashed them on the original blog. That way, I still have access to the posts and can edit and reblog them back to my original blog again if I want to. That’s certainly more organised than me haha! Have you found it useful? I recently updated and renamed my blog and did something similar. My blog is five years old and was relevant at the time of writing even though it was about history (links to current news stories and trends, for example). I was also way too personal for modern-day comfort! Updates included taking out references to tv shows and news items and some new fabulous pictures. My website has changed a lot in these last five years with some great technical advances and I have utilised these. Oh yes. Plus the cringe factor! Haha! Oh yes, the cringe factor! Are you happy with your updates? Thanks lovely! What ideas have you had? Every Friday I do a #fbf post where I post older blog post that I still like. I always fix any grammar errors and update accordingly. This is a great, informative post! Good ideas for recycling blog posts. Thanks! Really great ideas! I’m going to tackle some of these ideas this summer! That seems so fast to me. That seems more reasonable. Thanks for the benchmark. Thanks Suzie, there’s some great ideas here. I have lots of old posts to and often wonder what to do with them. Thanks Debbie – have you got any ideas of what to do with them? I’m not sure yet but I’m thinking!! One of the advantages of a history blog is that the content is mostly evergreen. I’m more likely to want to update the accompanying pictures than the text. At some point, though, I shall probably have to go back and see if I still like the writing in my earlier posts. I’ll put that off a bit longer, I think. I just went to look at one of my early ones. One thing I hadn’t considered was that I know more than I did then, so it does need to be updated a little. What struck me most, though, is that my writing style has changed so much in the two years since I wrote it. Something else to go on the blog to do list. That was the biggest thing for me too! Thanks so much Sally, always appreciated! I love reblogging an old post and seeing it getting tons more love that it did originally! 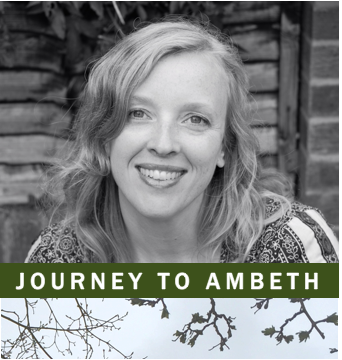 I’m waaaaaaaaaayyyyyy on the other end of the blogging spectrum Suzie, slowly starting to grapple with social media integration and working on building up a loyal community of engaged readers, so these visits to your blog and your meaningful words of wisdom are uber helpful. Thank you! hmmmm I’ll ave to give this a try. However, each of my posts requires so much effort (writing and painting) that it’s all I can do to keep posting more than once a week. I hope in the coming weeks/months to gain the proficiency to start incorporating more of the advice you’re sharing. I can see how rewarding and meaningful it is for you… which is uber inspiring! Thanks Gabe! Let me know how you get on with it, it would be really useful to see everyone’s experiences of it! Thanks so much Stella – that’s made my day! Really good tips! When my fatigue and/or brain fog is bad but I’ve not posted for more than four days, I’ll re-blog an old one. I’ll also link to them if it’s part of series such as reviewing beauty/veggie subscription boxes etc. Summary posts are such a good idea so I’ve started doing ‘My Lifestyle Lately’ posts and summing up the last month of what I’ve blogged and extra content. It never occurred to me to promote old posts on social media though, thanks! Thanks lovely! It took me a while to realise that I could promote old stuff to keep it relevant on social media! Thank you! Which ones are you thinking of updating? I haven’t recycled in a while. There is always a fear in the back of my head that I will hurt my Google rankings by posting duplicate content. Do you have any tips on that? You could do a follow up post to some of your older ones? So do I attach the original one or copying and pasting the content into the new post? I want to do whatever will not look like duplicate content to Google. To do a follow up? It totally makes sense don’t worry haha! I started doing this but editing has kind of got in the way, it’s a good idea and perhaps when I have more time I will look into it again. I like the idea of recycling old content. Thanks for the tips, Suzie. I edit the blog and then schedule it for a few hours after edit, with a note about when it was originally posted. 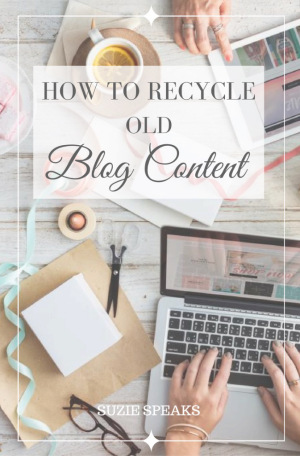 Suzie speaks provides us with an excellent article about how to recycle old blog content. Thank you very much! I’ve done a little bit of this but love your ideas and I have not promoted them much. It is sad that some of my best posts will not be read and you’ve inspired me to work on more of them and do more sharing. Some are cringe worthy, but they don’t have to stay that way! I’m somewhat embarrassed to say I never realized (until recently) that recycling was actually a thing! I’ve been a “work harder, not smarter” blogger for many years, but now I’m slowly figuring out ways to repurpose old posts. Certainly makes it easier to come up with four posts a week! Love your suggestions, and I’ll definitely be making use of them as well – thanks so much! Definitely a phrase i need to adop a little more – work smarter, not harder.I couldn’t do 4 posts a week – i’m lucky do to two at the minute! I write fiction which (hopefully) has a timeless quality about it and seems like a candidate for reblogging in order to find new readers. I’ve never done this before but sounds like I should consider it. Thanks Robert – let me know how you get on with it! I guess my only worry was that any visits and likes the reblog gets won’t be combined with the visits and likes on the original posting. Very helpful post! I have often wondered what to do with my older posts. I have some that only have like 40 views on them but they are really great posts. They are just so old and hidden that no one can find them anyway. I have updated my graphics but I thin I will take your advice and clean them up! My reblog button disappeared quite a while ago. I think it now requires a premium subscription. Glad to know I’m not the only one who cringes at old posts. When I write them I think they’re brilliant, when I re-read them later it’s all What I thinking? Haha! Yeah, it’s a cringe-worthy afternoon when I decide to update old posts! That’s not the first time audio versions of my posts have been suggested to me recently – I hadn’t even considered it before but it’s such a brilliant idea! Not yet – I will though! Bahahaha! 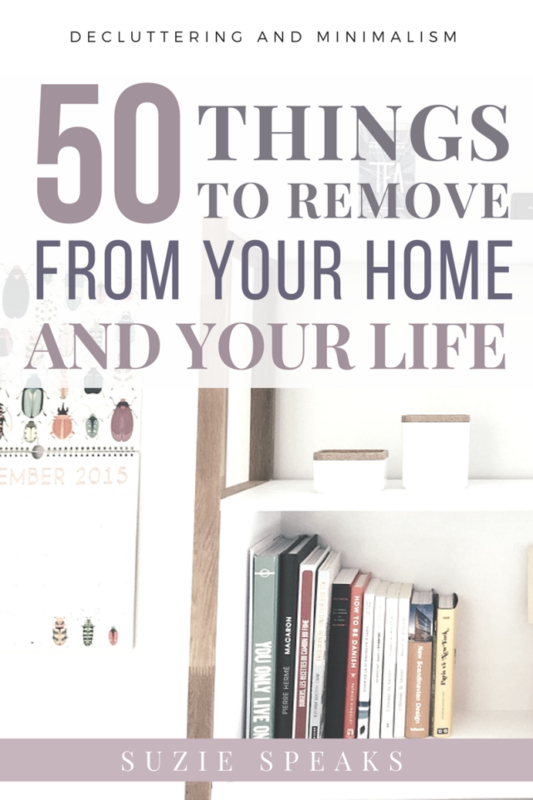 I thought I wrote massive lists… until I saw yours! After moving my blog to WordPress (two years ago now?) I went through all my content and had some of the same cringing reactions you describe. I like that WP allows you to make a post private, which is what I do when I want to update information or change a post entirely. I again combed through when I got my domain, and was nearly horrified at some of the posts that slipped through the cracks. But it was nice to look back, and like you said, realize I was in different mental place than I was even one year ago. I need to get more familiar with the reblog function – thank you for the reminder! Such a helpful post. Incredibly useful. So glad you shared this again! I do remember reading it once before, but the content is still relevant. Thank you! Thanks lovely! pleased that it’s still useful to you! Thanks lovely! I really need to focus more on travel posts as it’s something i rarely cover – I’ve written loads previously and need to give them a revamp! It’s like you peeked inside my head, Suzie! My blog is also 4 years old and I have been doing the EXACT same things you mention (going back and revising/rewriting where warranted, updating images with SM-ready ones from Canva, and then repromoting) since early in the summer. Nice to learn I’m not the only one at this point and that someone else is also doing the same things! And I did NOT know about the Reblog button – will have to look for that, so thanks for that awesome tip! How have you found looking back at your older posts? Very good tips here. I still have to re-purpose some of my blog posts. Can I ask you about tags – do you use them with a # or not? I think some people do and I don’t know if there’s any concensus or right or wrong on this? These are great tips, thanks Suzie. Great post. I had avoided re-blogging older material, then had the same realization: so many followers have come onboard over the past two years, so everything from earlier wasn’t read…and I focused on material that was timeless, like recipes, travel, interesting book and classic films…stuff that doesn’t “date”…. Exactly! I often go back to my earlier posts to share them again for my new readers! Agree, I look for things that are timeless or funny, so it still resonates – thanks for the comment! Another great and inspirational post, Suzie. I am currently in the process of re-vamping my blog. A lot of the posts are cringe-worthy and out of date. I’ve changed since I began blogging and my blog needs to change as well. But, sometimes you’re torn between keeping and trashing. Re-writing is a good compromise of half decent material. Thanks lovely! How’s the overhaul going?